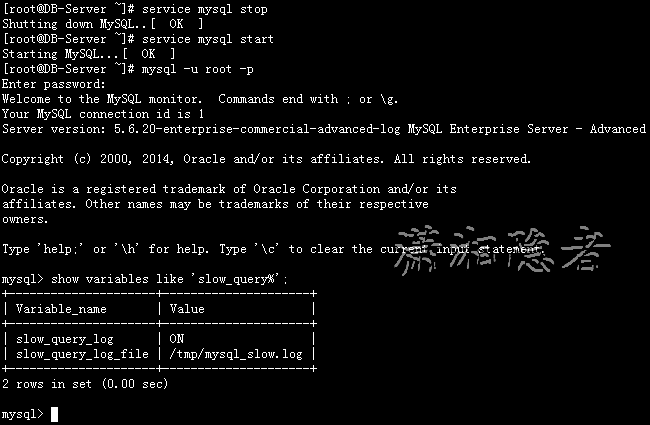 The slow query log consists of SQL statements that took more than long_query_time seconds to execute and required at least min_examined_row_limit rows to be examined. 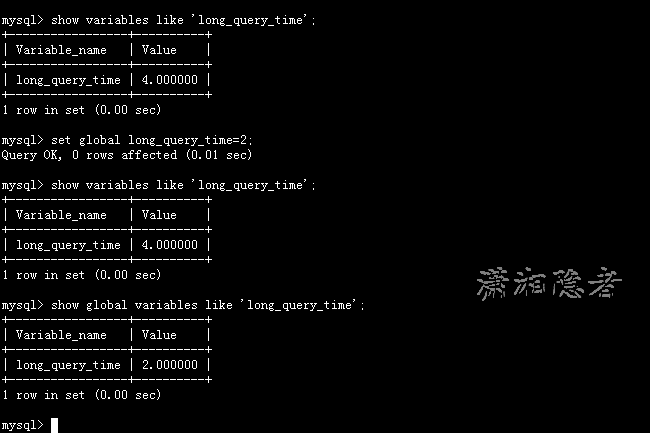 The minimum and default values of long_query_time are 0 and 10, respectively. The value can be specified to a resolution of microseconds. For logging to a file, times are written including the microseconds part. For logging to tables, only integer times are written; the microseconds part is ignored. By default, administrative statements are not logged, nor are queries that do not use indexes for lookups. This behavior can be changed usinglog_slow_admin_statements and log_queries_not_using_indexes, as described later. This option does not necessarily mean that no index is used. For example, a query that uses a full index scan uses an index but would be logged because the index would not limit the number of rows. By default, a replication slave does not write replicated queries to the slow query log. To change this, use thelog_slow_slave_statements system variable. The server writes less information to the slow query log if you use the --log-short-format option.